Parents, do you feel stuck, confused, frustrated, or simply at a loss for how to handle the rapidly transforming technological world your child is living in? 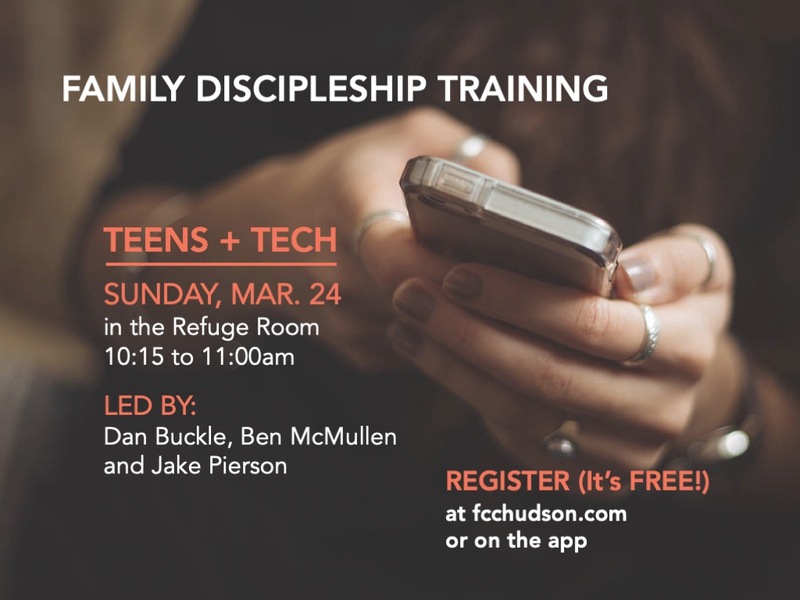 ‍Dan Buckle (middle school counselor), JakePierson (MS Student Director), and Ben McMullen (HS Student Director) will be leading a training, “Teens and Tech,” to help parents better navigate the technological world we are drifting in. This training is geared towards parents of 6th- 12th graders, but is open to parents of younger children. Teens and adults welcome – anyone who is facing the complicated issues related to the broadening world of technology. Please sign up each attendee in advance—this is not required, but helpful as we preparefor the seminar. This also allows us to send follow-up material and resources after the seminar. REGISTER at fcchudson.com or on the app.